Looking for that perfect “POP” to your TpT product? 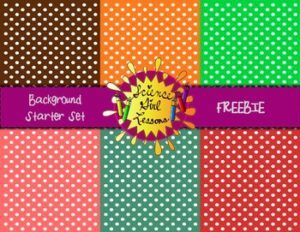 See if some of these backgrounds will work for you and your latest TpT products. Each background is a vector illustration, in PNG, 300dpi format. Vector illustrations are superior to other formats because they can be enlarged far more than traditional clip art, which becomes pixelated when enlarged. Vector illustrations don’t become pixelated. These graphics fit perfectly on a 8.5 X 11 digital paper. This zip file contains PNG and PDFs only. If you are having problems opening this zip file, please take a look at this first (Zip File Help). If you are still having problems, don’t hesitate to e-mail me at sciencegirllessons@gmail.com.